The grounds of Kafunta River Lodge are landscaped with native trees, most with signs identifying them. 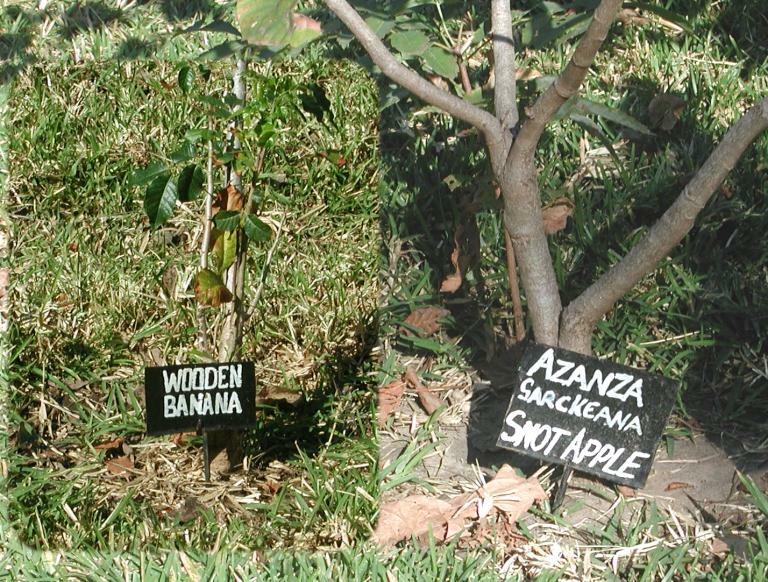 Well, I ate the Mopani worms, but I think I'll pass on the fruit of these two trees. There's an error in the scientific name of the "Snot Apple"--it should actually be Azanza garckeana The "Wooden Banana" tree (Entandrophragma caudatum), which grows quite large, is also called the Mountain Mahogany.